Hi there! It’s the Azureman, aka Bert Wolters, with another post on new functionality in Azure which is crazy cool…. For some time now, we have the ability to create resources in the Microsoft public cloud by using templates. 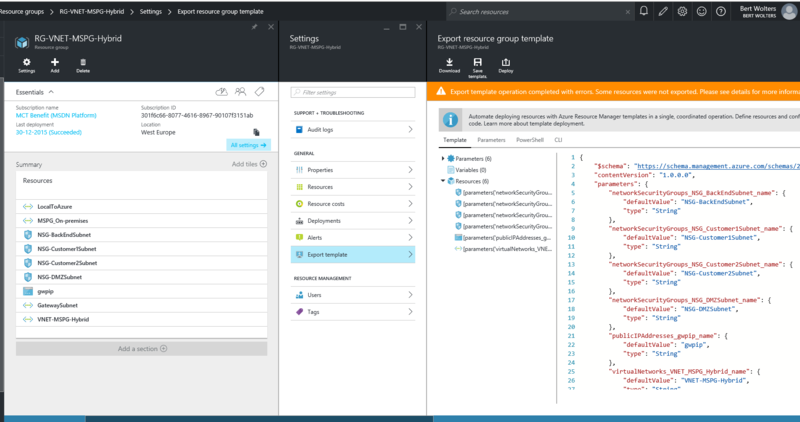 If you’re interested in how to get started with templates, you might want to visit the Azure Quickstart templates section on GitHub. These templates ensure that everytime we deploy resources, using the template, this deployment will result in the exact same configuration. Very helpful in setting up base environments for your customers. 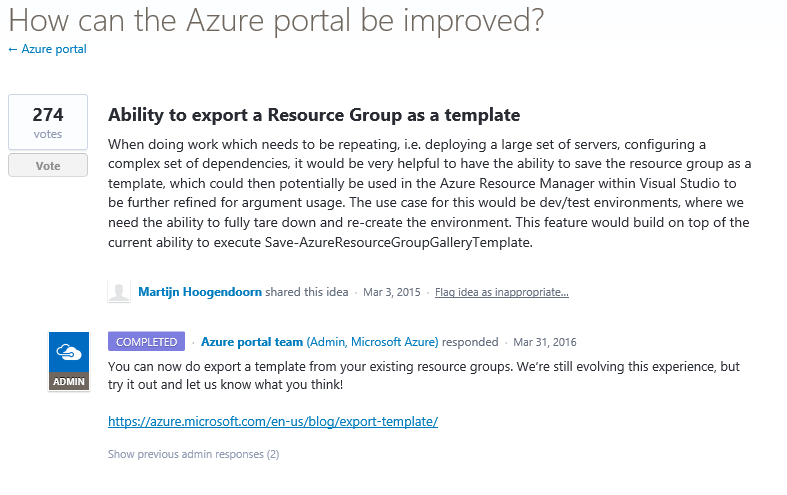 Last week we received confirmation that the work on the idea “Ability to export a Resource Group as a template” was completed and that it was implemented in the New Azure Portal. There you go, one fully exportable template to use in any tool you like to edit and/or redeploy the exact same configuration over and over…. But how about some slightly more complex resource groups? Let’s start off with a Virtual Machine. A storage account where the VHD’s of the virtual machine reside. Upon exporting the template it was another success for the platform! The next couple of days I will be abroad, but I’ll dive into this as soon as I can.